Secondly, both the parties are precluded from disclosing the confidential information to any third party. It is noteworthy that mostly confidentiality agreements are executed between businesses, but two individuals can also enter into a confidentiality agreement, for the purpose of conducting effective transactions. 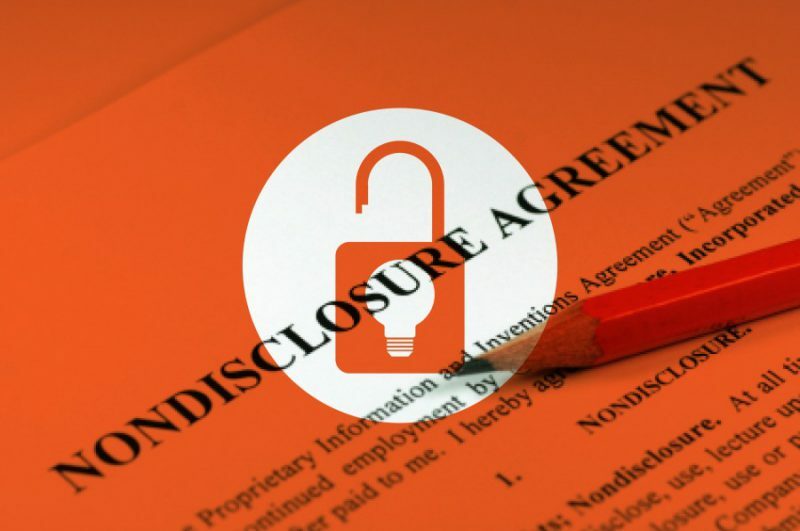 Generally, a party insists on entering into a Confidentiality Agreement while disclosing information relating to business practices, business procedures or HR policies. Most importantly in case an invention, if the patent application is not filed, Confidentiality agreements are the best option. Furthermore, it is quite possible that when disclosing an invention you will also disclose marketing and other business information not disclosed in the patent application, which itself could be maintained as a trade secret. A unilateral Confidential Agreement involves two parties where only the disclosing party anticipates disclosing certain information to the receiving party. It is important to note that it requires the information to be protected from further disclosure for some reason. An ideal example would be maintaining the secrecy necessary to satisfy patent laws or legal protection for trade secrets, limiting disclosure of information prior to issuing a press release for a major announcement. A Bilateral Confidential Agreement includes two parties. Both the parties anticipate disclosing information to one another that each intends to protect from further disclosure. This type of Confidential Agreement is common when businesses are considering some kind of joint venture or merger. A Multilateral Confidential Agreement includes three or more parties. One of the parties anticipates disclosing information to the other parties and requires that the information is protected from further disclosure. This type of Confidential Agreement eliminates the need for separate unilateral or bilateral Confidential Agreement between only two parties. Related Post: How to Choose Your Trademark Class? Receiving services from a company or individual having access to sensitive information. If you want to Apply for Trademark Registration, you can go with Apply Trademark.